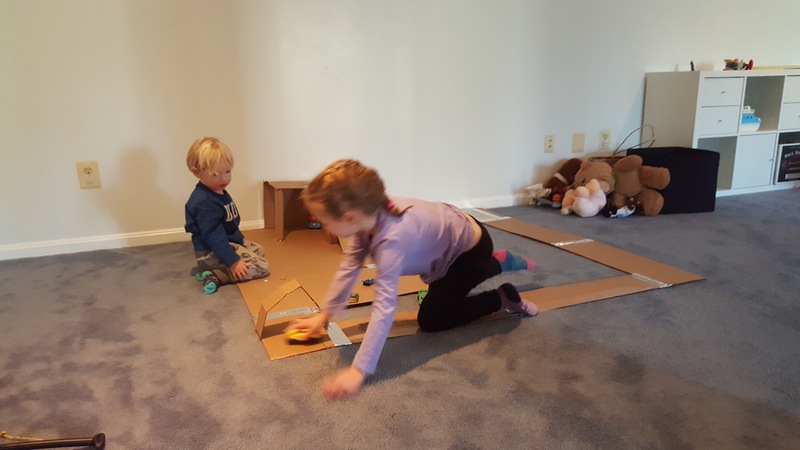 Creating & finding ways to share the wonder and joy of living and learning with my kids. S got some matchbox cars for Christmas. 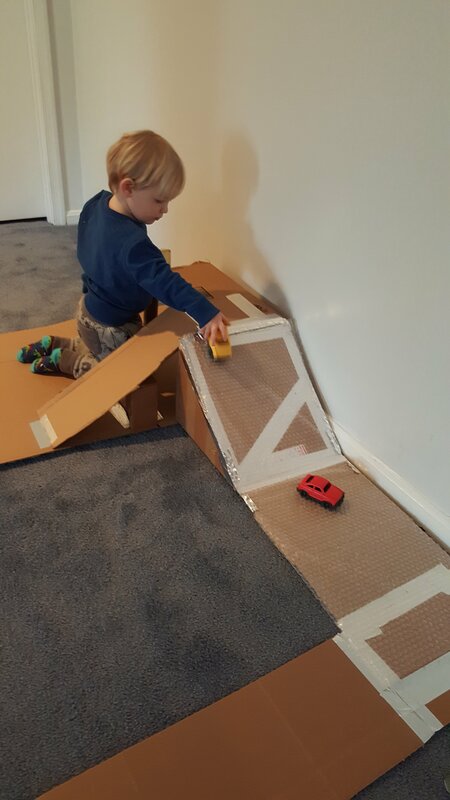 So to go along with his other cars we decided make a track/ garage from our cardboard boxes. After scrolling through Pinterest, I got some neat ideas. S helped me measure, tape, and hold parts in place. S was so excited he got right to playing as we were still making it! Then after we picked A up she was excited to see what we made. Countless hours have been spent with this creation today! 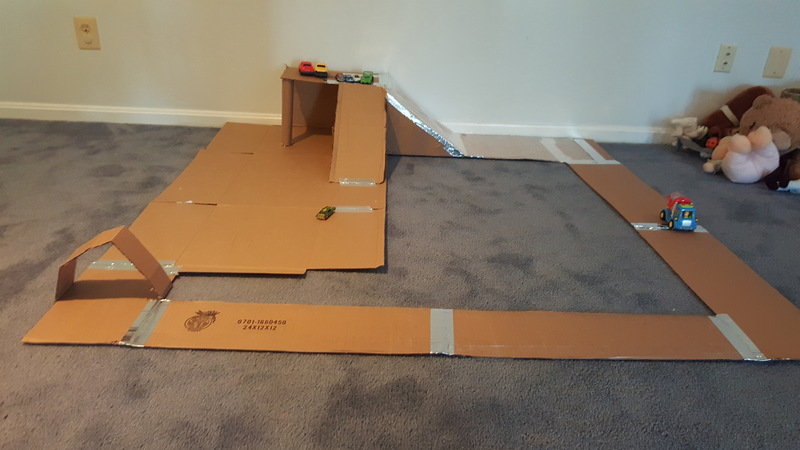 *Note: I would like to decorate it with roads & whatnot, but the kids seem to love it just the way it is. Wish I was there to play, it looks like lots of fun. Storytime April 19, 2019 at 3:00 pm – 4:00 pm Fair Lakes Promenade, 12193 Fair Lakes Promenade Drive, Fairfax, VA 22033, 703-278-0300 Please join us every Tuesday and Friday for Storytime! Themes and titles vary.